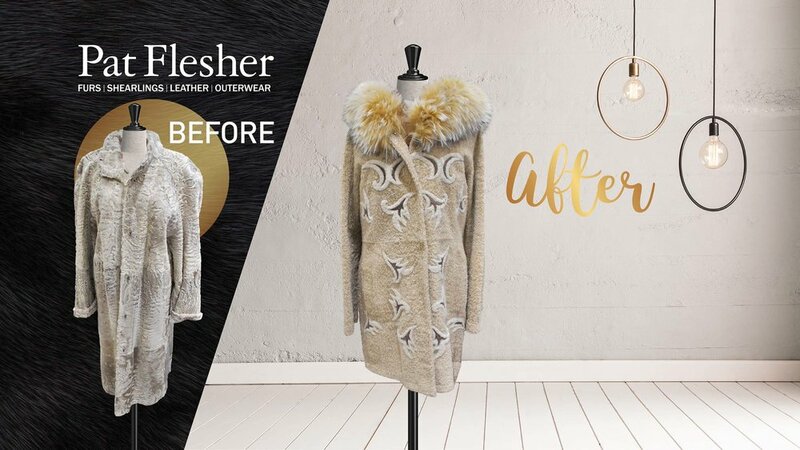 At Pat Flesher, we are eager to transform older garments into a brand new featherweight creation. We pride ourselves on our master furriers, designers and finishers who work in collaboration in our on-site factory to create a custom piece that is catered to your needs. Owner Stewart and his team work closely with our clients to turn their ideas into any design and style of their choice. The process begins with a personal appointment with one of our master furriers to evaluate the condition and quality of the coat. 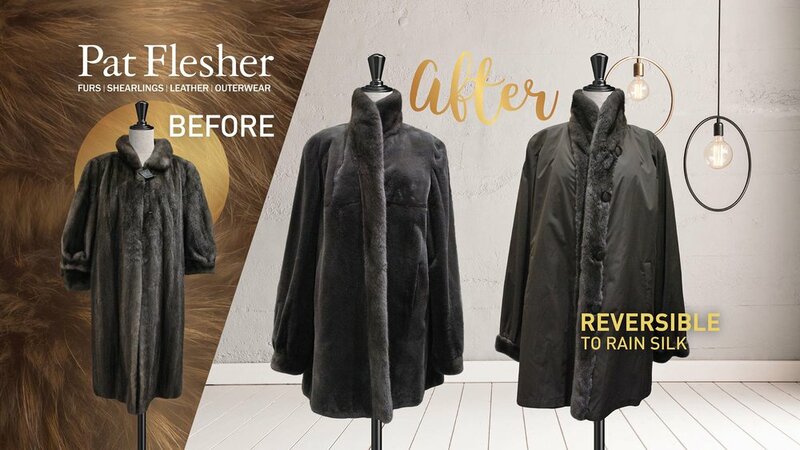 If the fur coat merits, remodelling and upstyling options are made available to transform old fur into any new style in our latest or classic collections. Clients are also given the choice to choose a style that is not available in stores. Options are endless. We can transform old garments into a blanket, throw or pillows. Trade in allowances are available for those looking to purchase new fur, leather or shearling. Pricing is dependent on the extent and condition of the older garment, along with the client’s choice of style and extra materials required. Schedule an appointment today with one our professional master furriers and create the garment of your dreams!